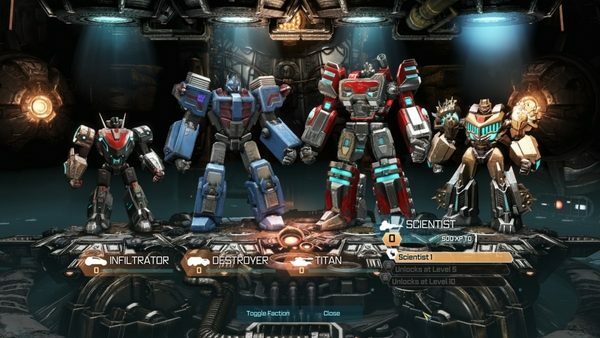 High Moon Studios today released their Havoc Multiplayer Pack for Transformers: Fall of Cybertron. Included in the pack are five new characters, featuring Autobot Scientist, Perceptor; Aerial Combaticon, Blast Off; Wheeljack, Zeta Prime, and Ultra Magnus (eeeeeeeee!). Each of the characters will be playable in multiplayer, providing new and unique abilities to the battlefield. Not stopping with just the characters, their individual parts can also be used on created characters, granting players far more options on the game’s already diverse third-person shooter gameplay. It’s a good thing, too; there are a lot of vehicle / ability combinations that I wanted to try out, and it’s nice to see High Moon coming through with the goods.